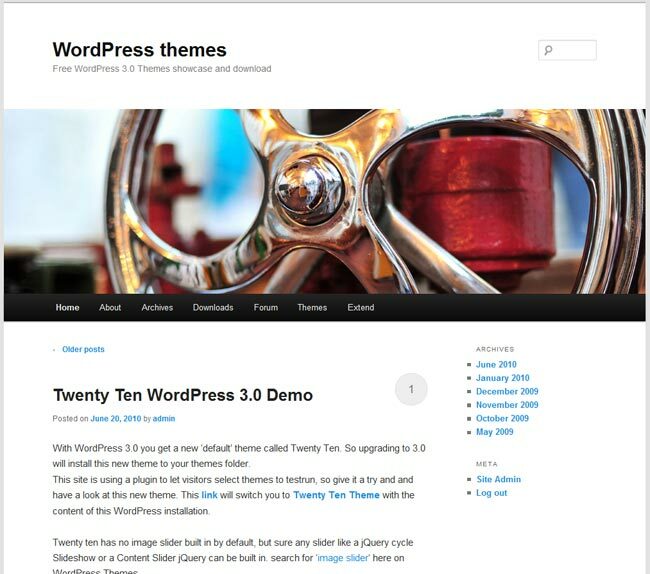 With the release WordPress 3.2 you will get a new default theme called Twenty Eleven, based on the popular Duster theme. Rotating header images, post format support, and more. So upgrading to 3.0 will install this new theme to your themes folder. This site is using a plugin to let visitors select themes to testrun, so give it a try and and have a look at this new theme. This link will switch you to Twenty Eleven Theme with the content of this WordPress installation. THEME SWITCHER DISABLED ..
Twenty Eleven has no image slider built in by default, but sure any slider like a jQuery cycle Slideshow or a Content Slider jQuery can be built in. search for ‚image slider‚ here on WordPress Themes. 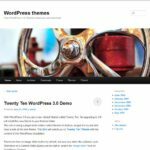 WordPress 3.2 gives the developers of Themes new APIs that allow them to easily implement custom backgrounds, headers, shortlinks, menus (no more file editing), post types, and taxonomies. Twenty Eleven theme shows all of that off. This twenty eleven theme scales down nicely on an android mobile phone! You’ve really cpauretd all the essentials in this subject area, haven’t you? My partner and I stumbled over here by a different web page and thought I should check things out. I like what I see so now i’m following you. Look forward to checking out your web page for a second time.